Quite a few years ago I did a very long post on blogging in general and things I had learned up to that point. To this day, that specific post surprisingly still receives a lot of action on my blog. I think that even though blogs are everywhere, there is still some mystery and fascination behind them (how does someone actually make money blogging? ), and a lot of random questions surrounding blogging in general. 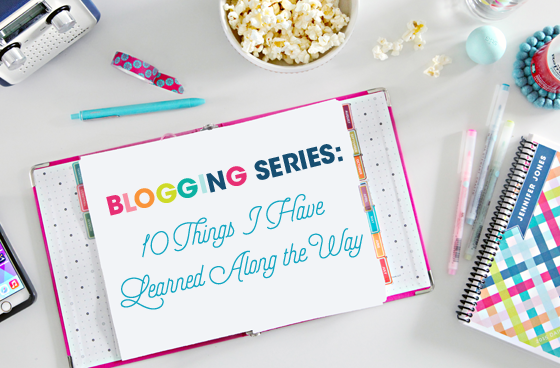 Although much of what I shared in my first blogging tips post is still relevant today, I thought that I would revisit a few topics as part of my five year blogiversary series, with ten things I have learned along the way. Aside from the ironic choice of words, I am just going to hop right in and start out with my biggest tip. Do you're best and don't try to keep up with the rest. There will always be blogs out there that are more streamlined, that have fresher graphics and sharper images, that pump out more projects, that post more frequently and that seem to have endless budgets. 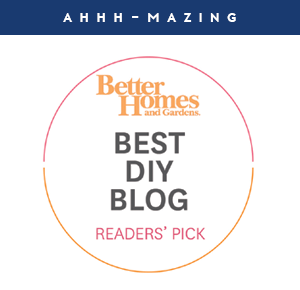 And in a world where our readers have an infinite selection of blogs to read, it is easy to fall into a comparison trap and try to do it all. So my advice is to set goals, stay motivated, but do it at your own pace and do it for you. Just as no two homes or lifestyles are the same, no two bloggers are the same. The one you are trying to keep up with may have a team of helpers, a money tree in the front yard, sleep apnea, a photography background, a graphic design background, no kids, ten kids, a nanny and a housekeeper, a handyman... You just never know and to try to compare will only do more damage than good. You can't do it all, so prioritize your wishes for your site, budget/schedule your time and do the best you can. And just be YOU. Tap your inner passions and focus on what will set you apart from the rest. Everything else is just fluff. In the words of Stuart Smalley, "You're Good Enough, You're Smart Enough, and Doggone It, People Like You!" OK future bloggers, this one is for you. Think long and hard about your blog name before committing. I mean really sit on it for days. Make a list of pros and cons. Be sure to consider where your blog may go. When I started up, I thought about my name for about ten minutes because I was thinking I may just offer occasional organizing tips. 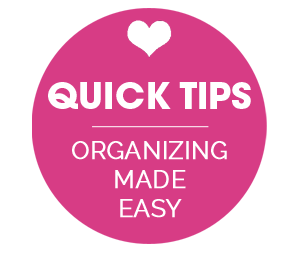 Now, I am completely pigeonholed into an organizing themed blog. Do I love to organize? Yes. But do I love to do so much more around our home? Yes! And would people know that from the name of my blog? Nope! 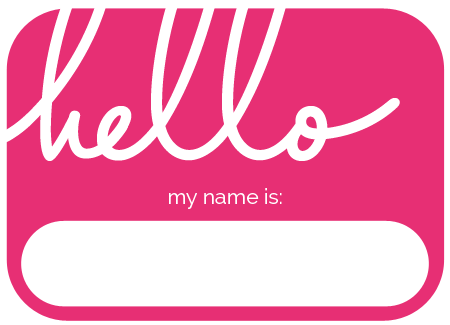 So once you have a name nailed down, get feedback from family and peers and make sure you think about how you will feel when you spurt it out at a blog conference, see it published in a magazine or you tell that random person in the elevator what you do for a living. Once you are set on it, gobble up that domain quicker than you can say, "your domain". Don't hesitate (cough, cough, lesson learned right here folks). Do your research prior to jumping on just any site to start your blog, because transferring it later will be costly and a headache. Especially the longer you blog, as that means more and more content, photos, Pinterest pins and links you will have to worry about. Blogger is free and super easy to use, but you have very little control over your site design, widgets, speed, etc... And if Google ever decides it no longer wishes to support the Blogger platform, then what? It is also my understanding that you may not have as many Ad Network options with a .blogspot address. Wordpress is the other primary option, but can pose new challenges in managing the site design and dealing with hosting fees and site maintenance. There are other new website building platforms showing up on the market all the time as well, such as Wix and SquareSpace. So just study, study, study and try to find the best option for you and your site mission. OK, more of the obvious, but these are all things that seem so simple but take awhile to grasp. I have gone through many phases of trying to be a people pleaser, and I have driven myself crazy trying to balance all of the feedback. Just as I mentioned above, no two people are the same. That means that your readers are all coming to your blog for different reasons, looking for different things and wanting more or less or those said things. Some will want more words, some will want more photos, some will want more personal stories and others will tell you to keep it DIY related (or whatever your specific niche is of course). Your readers will form opinions about you, your style, your parenting, your life choices, your budget, and how you opt to run your blog, but it will never be the same for everyone. Ever. So stay receptive and compassionate to feedback and to your reader's opinions. Watch for themes and consistencies and be open to adjusting accordingly. I can honestly say that my blog has only grown and evolved for the better with the help and feedback I have received from my readers over the years. But it is also necessary to listen to your heart and follow your gut. I don't want to spend much time on "mean" comments, because I think there is a lot of buzz in blogland about this already, and it really is a bit of a drag. But is something we all are faced with at some point of our blogging career, so just some quick thoughts on the subject. As a blogger, we share ourselves, our families and our style. In the home and DIY niche, we are sharing our projects, our design choices and our interiors. Because we inject our hearts and personalities into these rooms and projects, it instantly becomes personal. So any feedback, good or bad, is also personal. So think about why you blog. For me, it is because I love connecting with folks who have similar passions, it is because I heart organizing, photography and projects and ultimately I really love documenting our home journey. I find so much joy (and even some embarrassment), looking back at old posts. It is fun to see how my style has changed, what I have learned, what succeeded as well as the things that I now eye roll at. I love reading our old stories and reading through old comments. But most importantly, I find invaluable the information I have learned from my readers. And nothing is better than a day that I receive an email from a reader showing me a project they are excited about, because they found a piece of inspiration on my blog. That is what it is about and why I do what I do. That said, when you put yourself out on the Internet, it reaches a very diverse crowd of people. And those critical comments will come. And because it is personal and because you are passionate about what you do, some of those comments will hurt. There is no avoiding that and even after five years of blogging, although my skin is slowly thickening, it is still hard to hear negative reactions to a choice I have made, especially when I am putting myself out there with good intentions. Does the comment make a valid point? Is it a learning opportunity for myself or my readers? Was the commenter tactful in their message or is there a chance they will offend someone? Will the comment turn my blog into a controversial message board straying away from the initial topic at hand? Was there a constructive solution provided or was it just straight up insulting? Those questions help me determine if I will publish a comment or not. If the comment states, "That looks like crap", what value is that adding? However, if the comment states, "What if you tried x,y,z instead?" then there is a helpful solution to what may have been missing or lacking in my post. And I am totally down for that. As I said, I have learned so much from my readers, so feedback is always welcome. But if it is downright insulting and offers no value, I click delete and move on. I have posted countless projects over my five years of blogging, and there are so many that have had one person say, "I LOVE this so much!" and the next comment will say, "I don't get it, everything about this is just wrong". That is the beauty of design and reaching out to a diverse audience. So when you see that happen, ask yourself, do YOU love it? And if the answer is yes, than that is what matters because YOU have to live with it in your home. Bottom line: Have pre-determined comment policy / guide to help you out in the moment of comment moderation. And never be quick to respond to something that doesn't sit well with you. Give yourself an hour or two to think of a respectable response and remember that all is there for the public to see. I love working from home and at the end of the day, for me, the pros far outweigh the cons. But, it is not all rainbows and butterflies. Working from home has a whole new set of challenges I never would have expected jumping in. In fact, I was super naive in thinking that once I started blogging full time, that I would have oodles of spare time and my to-do list would always be done. However, it is basically the opposite of that. But that is also a choice that I personally make and I own that. Here are a few things I have learned over the years when it comes to working where you also eat, sleep, socialize and live. Set working hours. I will start with my biggest fail over the years, which is to set a schedule and "office" hours. SO hard when you have the flexibility to run to the grocery store on Wednesday afternoon or head to lunch with the girls on Monday or meet Grandma for coffee on Friday morning. But I have found that when I take time off during my working days, then I typically have to make it up for it at night. And trying to make it up at night when my family needs me, most likely means that I am either going to have to seclude myself or work really late and not get good sleep. So now I set working hours and try to work while they are away and really limit my daily shenanigans. Setting working hours is also beneficial in my time management and in building a routine to juggle the variety of tasks I do on top of writing posts (shop, email, projects, client work, etc..). 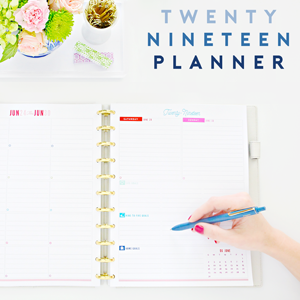 I don't stick to the same schedule everyday, because one thing any blogger will tell you is that many days are unpredictable, but it does help to have a plan. At the end of the day, you pick your hours and how much time you want to dedicate to your blog / business. But I have found that the amount of time and heart you put into it will also relate to how well it does for you and your connection with your readers / customers. If you want to make a living doing it (find out how here), it is just like any other job and will require your time and effort. Get out! I live in a small town in the middle of nowhere, so it is easy for me to feel secluded and lonely working from home all day. So now I find productive ways to get work done outside of the home. 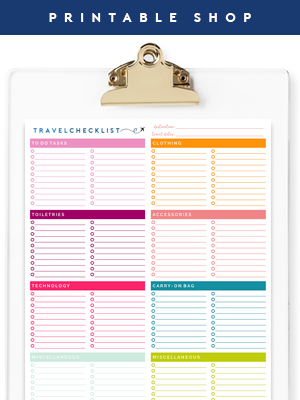 Ways to do this are to plan trips to coffee shops, sign up for classes, work with other bloggers and clients and sign up to attend conferences and meet-ups. Just because you work from home doesn't mean you always have to work from home. The chores can wait! Going back to my first point, set your schedule and do your chores later. 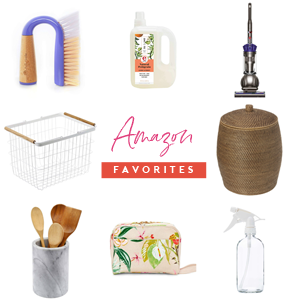 I am a believer that my whole family should help with household chores and maintenance, so other than a quick sprucing of our main living areas in the morning, I work while they are away and do the majority of the housework when they are home. Although I work from home, I try to treat it as if I don't. It keeps me much more productive on both sides of the coin. Get dressed! It is probably just me, but when I take the time to pull myself together in the morning, I feel much more excited about the day ahead and I naturally feel more productive. Take breaks. If you are always working on your house, it can be hard to actually enjoy your house. Take at least one weekend off from projects a month, or one night off per week. Plan a family night, host dinner for your pals or just curl up on the couch with your favorite magazine to be sure you are savoring your home on the days you are not working on your home. "The work will wait while you show the child the rainbow, but the rainbow won't wait while you do the work." - Patricia Clafford The biggest challenge I face working from home, is that the internet is 24/7 and I can't just leave the office to go home. I find myself checking in on things throughout the evening and struggle with just shutting things down for the day. Patricia's quote is one I have to repeat to myself frequently, as the kiddos are only young once and one of the reasons I love what I do so much is because it allows me to be home with them. If you feel like you are having a hard time keeping up in a specific area of your blog, hire help! Especially consider it if you are running a shop, managing sponsors and giveaways, writing daily posts, working on frequent projects and answering daily emails and comments while maintaining your social media channels. As your site grows, so will the number of opportunities that come your way, and no one person can do it all. You will burn out trying. If you have long term business goals, then consider how the investment in help with allow you to grow. I also highly recommend hiring an accountant (taxes), bookkeeper (payroll) and a lawyer (trademarking, reviewing contracts, advice, etc..). All will be helpful experts in areas you most likely are not. Also, just say no! To drugs of course, but also to things that don't make sense for your growth and your brand. As you are just getting started, you may have more time to say yes to every interview, blog series, feature, article, email, question, event, etc... In fact, many of those items will help you grow and diversify your audience. But taking on too much will add a variety of new stresses and not allow you to thrive at any single thing. When I first started blogging, I checked my stats hourly. How can that be healthy? Although I look back and find that it may have been a bit silly, it was still important to dig deep into what I was doing and look for ways to continue to grow my readership. The numbers ultimately drive your ability to earn some income from blogging, so knowing them is always important (Google Analytics is great for this). Speaking of growing your readership, I am asked frequently about "how" to grow a blog. Bottom line, build content. And good quality content. Consistent content is going to keep your readers coming back. Solid, creative and inventive content will bring new traffic through Pinterest. And features on other blogs and publications will open you up to a whole new set of traffic. By checking in on your stats, you will be able to gauge which features and projects are your biggest winners and allow you to evaluate how to best utilize your time moving forward. I think it is important as a business owner to stay tuned in to what makes your blog tick and what is driving your income. Know what posts are most popular, know where most of your traffic stems from and know your monthly stats... but it can also be a double edge sword. Making it all about the numbers will take away your creativity and passion and ability to blog organically. This is totally a personal opinion, but when I finally stopped checking my stats each day, week and even month, I felt much less intimidated to hit that publish button and stopped over analyzing every peek and valley. Set personal goals for yourself and your business and do an occasional check-in with the numbers. "You can pin your projects, and leave comments on other blogs to generate more traffic, but what's going to keep readers coming back, is good content and your genuine voice." - Cassie, Hi Sugarplum! "First up, don't try and be everything to everything. Know who your ideal audience is. Get to KNOW them in your head. What are they looking for when they're online? Where do they shop? What other blogs do they read? Do they prefer to hangout on Facebook or Instagram? Then work out ways that you can reach out to them and share your awesome content. Guest post on similar blogs, comment on blogs and social media where they hang out, work with brands you love. It's one thing to have a brilliant blog, but you have to make sure the right people find you. Once you put it out there, your readers will hold you to it. And they should. So stay realistic about what you can commit to. If you are going to put together a blogging series, be sure you will have the time to put into it and even have much of it ready to go before you announce it. Because once you have built it up, if you miss a day, week or month, your readers will naturally be waiting for it and will find themselves disappointed if it doesn't come to fruition. The same thing applies to your posting schedule. When I first started writing, I committed to my readers that I would blog 4-5 days per week. The first week that didn't happen, I received feedback that a few readers were let down and disappointed. On days I couldn't post, I found myself feeling like I needed to check in to let people know I was ill, or that I had a family emergency or I just needed a mental health day. By setting such a firm expectation, I in turn feared that my readers were going to be frustrated or leave me because I missed a day. No bueno. At the beginning of your blogging days you may find that it is easier to come up with new content on a daily basis. You most likely have ideas that have been stirring inside for days, months or even years, waiting to be exploded all over your screen. Plus, you have a whole slew of nooks and crannies in your home that have never been seen by the world before. I remember those days and feeling like a kid in a candy store. And that is amazing and wonderful and will be really good in building content on your site, but eventually, it will become more and more challenging to keep up with that much good, quality daily content all on your own. And as much as I wish creativity could flow through my veins full time, it is often sparked and found at the most random moments. So my advice is to stay inspired, find fun and fresh ways to add variety to your content, and blog when you have something new to say. Don't rush or force content for the sake of the blog, because you will most likely change it or regret it later (I can look back and say that for certain). If you are ever feeling overwhelmed and losing that spark, take a step back, reassess and be OK taking time off. Also, be selective about how many social media platforms you can commit to. Keeping up on 17 channels of social media can be a full time job in itself, so pick your top two favorites (Instagram and Facebook are my two), and limit the rest. "Facebook and Instagram are my favorites because they allow me to really interact with readers on a personal, immediate level. But it's Instagram I gravitate towards because I love seeing glimpses of my online friend's real lives." - Cassie, Hi Sugarplum! Almost any blogger I chat with tells me that their number one referring traffic source is Pinterest (which is true for me as well). This has really changed the way blogs are run. They are becoming more business focused and less personal and images are becoming prettier and prettier. This is because those Pinterest views ultimately translate to income. But it is also a fine line. Too much pretty and perfect can be discouraging and insinuate an un-realistic lifestyle. So stay true to you, build relationships, connect with your audience and have fun gosh darnit! I feel like I am at my kitchen table, sipping on coffee with my girlfriends, just chatting about what I love. So I apologize this ended up so lengthy. Clearly, blogging is a topic I am passionate about and also something I receive a lot of inquiries about, so I had a lot of information to share. Blogging is such a blessing, but it is also what you chose to make of it. Cheers to finding what works for you and making the most of a good thing. 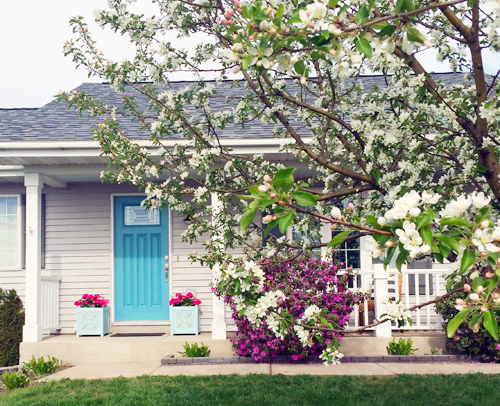 Not related to the post, but I still love your turquoise front door! Question: I know you have an "office". Do you actually do most of your computer work there, or do you work in other parts of the house too? Now that I have a desk space that I love, I have been doing majority of my work there. It is just much more convenient for me to have my papers, planner, computer and office supplies all within reach. I will take my laptop to the couch in the evenings after the kids go to bed, or to the counter while maker dinner at times. I would say it is a 80 / 20 split. :) xoxo! I'm not a blogger but u have so much advice here I can apply to every day life. 1 thing I love about your blog is the positive tone u have. I also like when u show your "mistakes". I live in a studio condo & your ideas have helped me a lot. Keep up the great work. That was a great post, full of much needed advice. I've been blogging for 6 months now (feels a lot longer!) and though I've been loving every minute of it, it is easy to lose the focus on why you started and get lost in the numbers. So reminders are always good! Thank you so much for sharing your thoughts and tips with us! These are so great!!! I have been a LONG time reader of your blog (even before I started my own) and so enjoy your thoughts, tips, and inspiration! Thank you for taking the time to share your heart and life with us over all of these years! This was a great post! Thanks for sharing. I feel like I understand what drives you and this blog a little better. You might want to link to this (and your "bread and butter") post about blogging on your old one from 2011, if that page still gets a lot of views. I know when I stumble across something from Pinterest, I always appreciate it when the author leaves a little update/note at the top or the bottom of the post linking to similar content elsewhere on their blog. That way I can read even more about the topic that drew me there. If I find one post I like, it's just a visit. If I find several, I add the blog to my RSS feed. You're already doing it for this current series (linking back to previous posts). Just suggesting that you link forward, too (linking new posts onto older ones). Beautiful advice! Off to do that now. I want to say thank you for your blog. It is inspirational. I think that you are a great lady and love your sense of style. Thanks! Thank you for sharing your tips. Greatly appreciated as I have only been blogging for a couple of months now. 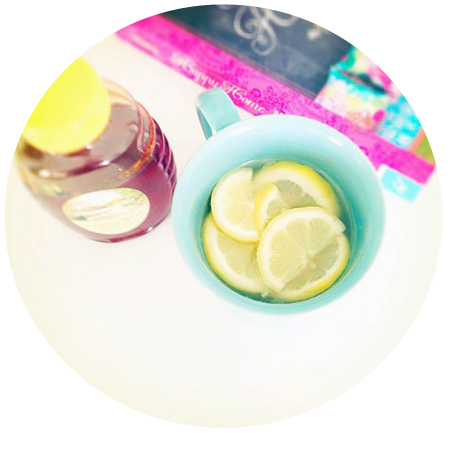 I just started to blog regularly and I love all these tips!! Thank you so much!! I really don't know how all these awesome people do it! It's hard work!!! I love to blog, but keep falling down on the job. I love to read them so much..I am making it a goal to keep mine up now! PLUS, I have a big reveal coming soon, and it all spins from your dining room! I tagged you on IG! Thank you so much for all of your inspiration! Such an amazing post and very beneficial. I found myself reading and talking to myself at the same time in agreement with everyone. After 3 years and 3 name changes, I think I finally found the one. But, changing names takes a lot of work on the backend. So, I definitely agree that bloggers should think long and hard about it before making a commitment. And, I also am guilty of the blogger to wordpress switch. Wish I would've known then what I know now. This also took a lot of work to get right. Thanks for writing these tips, Jen. Especially the first one! It's so good to be reminded to keep track of my own personal goals and not necessarily measure myself against women who've been doing this full-time for ages. I just started a blog this month after years of reading others (yours being one of my faves) and this series is so perfectly timed for me! Thanks for being so open and helpful! This is so insightful into the blogging world. I pretty much currently blog on a really small scale but have multiple times considered what blogging involves as a full time jobs, and if I could do it. This have given me much to think about! Thank you. Such a wonderful, helpful post! I took copious notes on the comment policy section. And thank you for writing about content commitment! I've had such a problem committing more than I'm able to keep up with. Just recently, I've started catching up with 'the backlog' and drastically reducing the amount of 'promises' I make for content. It's so liberating! Thank you for the awesome post, normally I don't like super long posts but there was so much here that was worth reading! I didn't blog for two or three months because I wasn't motivated and it is just a hobby for me at this point, when I came back from that time I felt/ feel great about blogging. I did realize that although I could post several times a week that it works better for me to save some content because I have weeks where I have no time at all. So I set a schedule and now I post every Wed and Sat. Occasionally I will break that if I have something with some time factor that I want to get out before my next schedule post, but I have found the consistency helps so much with building my content and staying motivated. As for checking numbers I used to check them hourly too. I have tried to get better, I usually try to check them half way through the day, especially a new post day and then adjust my social media plans for the day if I'm not getting the reach that I want. I have pretty small numbers right now so for me 9 views versus 50 views feels like a big difference and sometimes the right tweet or pin can give me that boost. I have found that by doing this I get a more consistent daily views. Really great post! I disagree on the blogger vs wordpress bit. Obviously, not actually owning your website is a con with blogger. BUT, Blogger gives you full access to your HTML coding and is VERY customizable. Whereas wordpress doesn't let you access code easily. I really enjoyed this post, especially the reminder to stay true to yourself & have FUN! This is quite a thoughtful list that I very much appreciate reading! Thanks for sharing! Oh Jen. I adore you! I am not a blogger and do not have any plans to be a blogger ever but i work full time from home for my parents company. Its freaking HARD to split myself. Yesterday i ran myself into the ground cleaning cleaning cleaning while my kids were at school that i didnt get any actually work done. And the only one who actually cares about the house is me. Thank you for your insight! Honestly I agree that getting dressed is by far one of the most helpful things that you can do to start your day off. I'm a student, and on days when I don't have class until later - if I don't get dressed and showered, then I become a slob and waste away precious hours. Staying in PJsa and sweats may work for some, but for me it means being comfortable and getting absolutely nothing done! Hi ! I was thinking about your blog after I read it and I realized there was something I've been really confused about. You mentioned that Pinterest has worked tremendously in helping you and other bloggers out, but there's something about it I don't seem to understand. I was trying something the other day and uploaded a photo with a very specific description and hashtag, but when I typed in the exact phrase/ keywords in the search bar it showed 'No results'. How do you get your pins to show up in searches? If you could reply to this I would highly appreciate it! Such great advice! I can def relate to this. I started blogging when I was in High School and obv I checked my stat every single day, I focused more on the numbers than the content. Nowadays, I realized that blogging is just a hobby for me. I dont want to be stressed out and feel pressured. I write when I feel like writing because blogging is something that should make you feel happy and relieved. Not something that you constantly go onto because you want to be popular and have thousands of readers..
this is all super helpful, thank you! I have been going back and forth on to monetize or not to monetize... right now, blogging is a fun hobby and I post 2 times a week and have gotten over the imaginary pressure I used to give myself over stats. I'm scared that monetizing will bring all the imaginary pressure right back and blogging won't be fun anymore! it's a fine line. Thank you so much for sharing your wonderful ideas. Your blog is very inspiring and I am grateful I found it! :) My classroom would not be half as organized as it is now.. :))) Thanks a lot! Feel so overwhelmed to your list of advice here. this is such worth reading that every newbie should take time to read. Even I am newbie on blogging I know I can do better. thanks so much! You pour out your heart about blogging - something you are passionate about. Then at the end you apologize. Don't. You have practically negated everything you have shared. Don't do that to yourself or me. If I didn't appreciate reading what you had to say, I would have bailed before getting to the end. You have a lot to share. It is important to you. Don't apologize. Thank you so much for this! I just recently started my blog and I've been looking for some "starter" tips! Thank you for sharing this - such good points! The few I wish I had known earlier were about which site to use and in choosing a name, even though my blog is a simple "my life" one. Thank you so much for putting this out there. These were the best tips I've read so far. In fact, the part about scheduling trips to a coffee shop hit home. My daughter attends an online school and she's feeling a little secluded during the day. I told her we will start going to Dunkin Donuts with our laptops and working from there a couple days of the week. I thought I was being silly but I see that was a good idea. Again, thank you so much.